Whether you’re looking for fitness, inner-growth, or self-defense – we’ll help you get there. We have a top-notch martial art and fitness program, for children and adults, designed to help you reach your goals. We work as hard as we can to make our Orlando martial arts school an amazing experience for the orlando community & everyone who walks through our doors. Capoeira is an Afro-Brazilian martial art that combines dance, music, and acrobatics. It teaches discipline, self-defense, physical fitness, and promotes self-esteem. It is considered one of the top all-around strength, flexibility, and aerobic exercises and training is geared toward all ages and athletic levels. For more information, watch our introduction video! Capoeira originates from the slaves who were brought from Africa to the port of Bahia, Brazil. These slaves who were forced to worked tirelessly in the sugar and tobacco fields sought a way to free themselves from their captivity. The lives of the slaves were restricted to work and minimal social interaction where the practice of martial arts was not possible. Despite their oppression, the slaves were not deterred. Instead, they hid their martial arts training by disguising Capoeira as a folk dance to calm suspicions. 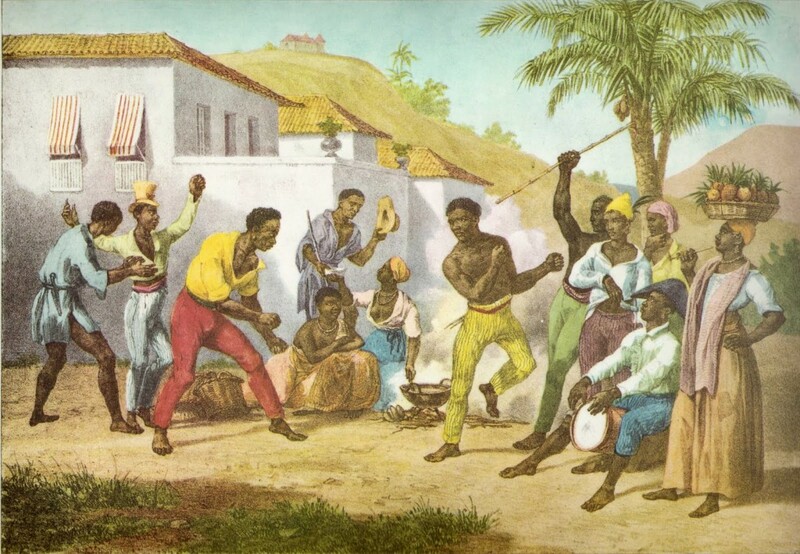 Their Capoeira training allowed groups of slaves to rise up against their slave masters and retake their freedom. In modern times, Capoeira has evolved into a unique and powerful martial art that is practiced all over the world. Click here for a more detailed account of Capoeira’s history. The Batizado is an annual graduation ceremony for Capoeira students that showcases a variety of cultural performances. Teachers and students from different Capoeira groups are invited to participate as a community. The students have a chance to demonstrate what they have learned over the past year and are tested by the visiting teachers to advance to their next cordel level. You can see some highlights from our 2013 Batizado in the preview video.